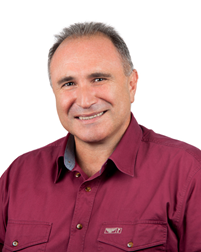 George Muscat is a Professorial and an NHMRC Principal Research Fellow at the Institute for Molecular Bioscience, and an affiliate of the School of Biomedical Sciences, The University of Queensland. He completed his undergraduate and graduate training at the University of Sydney and CMRI. His research focuses on understanding the functional and tissue specific roles of Nuclear Hormone Receptor and epigenetic signalling in breast cancer, and metabolic disease. He was a Postdoctoral Research Fellow at Stanford University, CA., and an Assistant Professor of Research at the University of Southern California, Los Angeles. He joined the University of Queensland in 1990, and was a visiting scientist at X-Ceptor Therapeutics, San Diego (2001). He has served as a member of (i) the editorial boards of J. Biol. Chem., Endocrinology, and Molecular Endocrinology, and (ii) NHMRC GRPs, NHMRC Assigners Academy and NHMRC Fellowship Panels.